Obviously you can’t rely on the advertised “upto” 8mbps speed for your broadband connection and this is where you need services for figuring out your broadband speed. However, the buck doesn’t stop there. Having a good broadband speed doesn’t necessarily guarantee you a good VOIP connection. 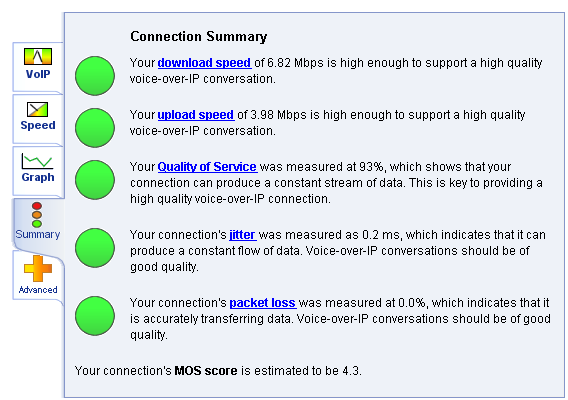 This is when you need to go for a test of your broadband speed and the VOIP quality. 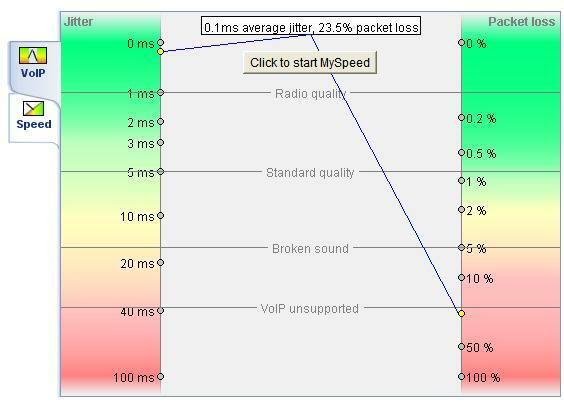 Voiptest.org offers a comprehensive test which measures the quality and performance of Internet connections for Voice over IP usage by simulating real VoIP sessions between our server and your computer. It also performs the bandwidth test to/from our server. After the test you can see results and comments about your connection quality in percentage scale. 2.) Click on the button which says ” Click to start MySpeed”. 3.) Once the test is complete. 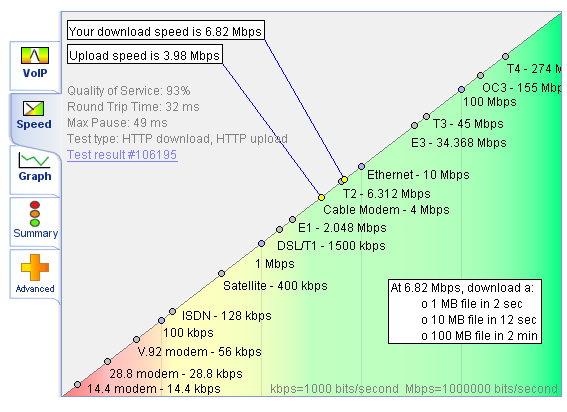 The website generates an interesting report with all the results for the download speed, upload speed, quality of service, jitter and packet loss for your broadband connection. Go ahead and figure out if your broadband bill is really worth it. Windows XP: Speed up Folder Browsing. If I need to track pageviews, etc. in my site, I have to add the google analytics code in my index.htm page, right? Do I have to also upload urchin/ga.js to the website’s server? I don’t really understand analytics… and I haven’t gotten any data in g. analytics.